Some taxpayers may experience a delay in receiving tax refunds in 2017. This is for tax returns due by April 15, 2017. Part of the reason for the schedule delay is a new tax law that goes into effect in 2017. We updated our IRS E-File Cycle Chart today to account for the IRS changing the payout dates from Thursday to Wednesday. Check out the changes and please let us know if you find any problems. 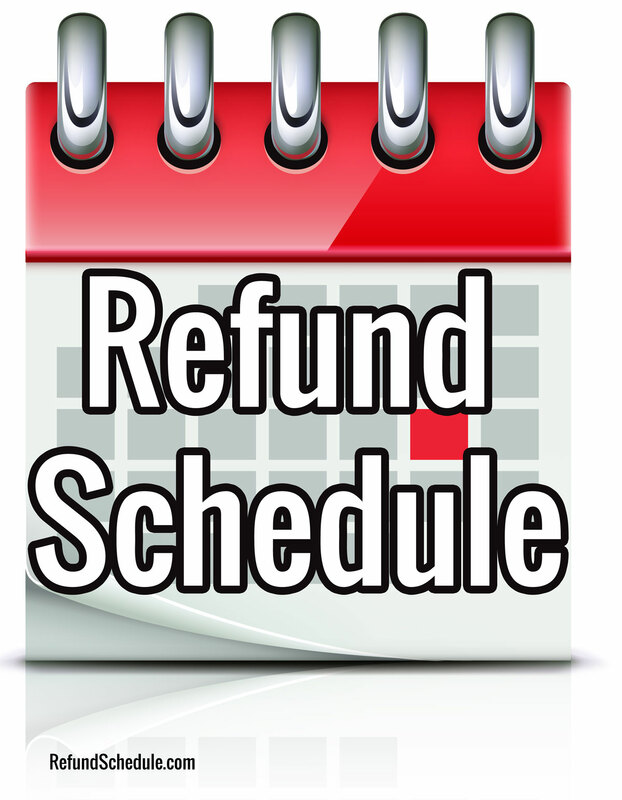 2015 IRS Tax Refund Schedule. Having trouble with the IRS Where’s My Refund tool? Here are some handy tools to decipher your way around this. How to read your IRS tax account transcript. One of the most pressing questions in the life of an early tax filer – when can I expect my tax refund to come? Before e-filing, this was always difficult to predict. First, you mail in your return. Then someone inputs all your information (and later, computers scanned in your information), then the Treasury had to issue a check, which was then mailed to you. Now, with a free IRS e-file, you can get your refund in as little as 8 days from when you file, if you elect for direct deposit. 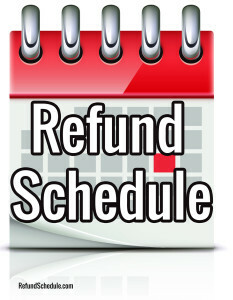 For 9 out of 10 taxpayers, the IRS issued refunds in less than 21 days from the date the return was received last year. For the 2015 tax filing season, the IRS announced that it will start accepting eFile and paper returns on January 20, 2015. You can find the press release here. Great news! The IRS have begin testing for the upcoming Tax Season 2015. These 2014 federal tax rate schedules are provided to help you estimate your 2014 federal income tax. All tax softwares will apply these rates as you complete your tax return. Estimate your 2014 Tax Return with our 2015 Tax Refund Calculator. 2015 Tax Season is expected to be the worst yet for tax filers. The Internal Revenue Service is gearing up to be hated even more than usual due to a “miserable” 2015 tax season, the agency’s commissioner warned. That’s because of a lack of funding from Congress combined with increased responsibilities. Koskinen followed National Taxpayer Advocate Nina Olson ‒ who’s been in that role since 2001 ‒ at the conference. And she was even gloomier with her predictions.